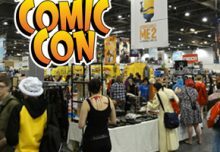 My next con will be Manchester MCM Expo on Saturday 21st July at Manchester Central. 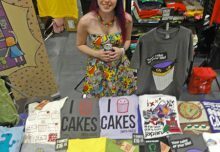 MCM came to Manchester for the first time last year and over 7000 people turned up, so they’re doing it again this year. It’s great that people in the north and the midlands can go to a large con without having to go all the way to London. I’ll be having a larger stall than usual, with lots of room to fit everything on! You can find me on E11 & 12 – I’ll post a map nearer the time when the floorplan’s released by MCM. 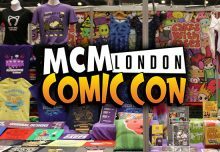 There’ll be all the usual MCM Expo fun, incuding a cosplay masquerade, DDR, signings (including Warwick Davis), the Comic Village and, bizarrely, sports stars will doing autographs. Don’t miss the Comic Village (I could spend hours looking round it!). Even if you’re not into comics you can some unique prints for your wall and it’s lovely to be able to chat to the artists – much more personal than buying stuff in a shop. And it’s always good to support independent artists. Look out for Matt Dyson, Adam Cadwell, Marc Ellerby, Dr Geoff, Matt Dyson, Lizz Lunney and the guys from Twisted Dark – all recommended! 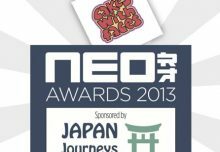 I’ve only been to Manchester once before, to visit Doki Doki last year. I’m only there for the day so probably won’t get a chance to look round the rest of the city, but by all accounts it’s got a lot going on – including my favourite dress shop Vampire Bunnies in Afflecks Palace. So if you’re making a weekend of it go take a look! Tickets on the door are £5 for adults, £3 for ages 11-14 and free for children aged 10 and under. They’re for entry 11am-5pm. There are also early entry tickets for sale online for £8, for entry from 9:30am.